In our last piece, we went through the resumes of all Bruce Arians’ offensive coaching staff. This piece will focus on the defense and special teams. While the defense is Todd Bowles’ defense, Bruce ensured the defensive and special teams staff were filled with coaches he knows and trusts. Like with the offense, you will find the hires almost all have history with Bruce (and each other). As soon as Arians’ name was announced as the Buccaneers new head coach, we knew it was only a matter of time before Todd Bowles was brought in. Most NFL fans are familiar with Bowles the coach: first as Arians’ defensive coordinator at Arizona, then as the Jets Head Coach. But Bowles’ career (and his history with Arians) goes back further than that: he played for Arians at Temple when Bruce was head coach. After college, Bowles then went on to have an eight-year career in the NFL as a safety, winning a Super Bowl with the Washington Redskins. Kacy Rodgers served on Todd Bowles’ staff at the Jets as defensive coordinator from 2015-2018. Prior to that, he was with Miami for six years and the Cowboys before that. Rodgers is one of the few hires that doesn’t have a connection to Arians. Larry Foote is another alum from the Bruce Arians School for Coaches. Arians gave Foote his first crack at coaching in 2015 when he hired Foote as inside linebackers coach. Foote stayed with the organization through 2018. Before that, Foote played under Head Coach Arians at the Cardinals in 2014, and was on the Steelers’ squad 2004-2008 and 2010-2011 while Bruce was integral in the offense. While Mike Caldwell worked under Arians, we should probably consider him more of Todd Bowles’ guy. Caldwell coached linebackers at Arizona from 2013-2014, but left with Bowles in 2015 to serve as assistant head coach/inside linebackers coach at the Jets, where he remained until Bowles was let go in 2018. 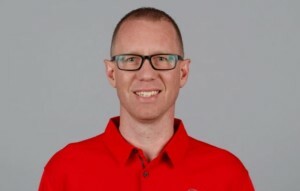 Prior to his run with Arians and Co., he began his time in the NFL with the Philadelphia Eagles where he started as an intern and advanced to quality control coach. Caldwell is another former NFL player, who played from 1993-2003. His rookie season began at the Cleveland Browns under none other than Bill Belichik and Nick Saban. Another Cardinals alum, Kevin Ross spent his five years at the organization coaching Patrick Peterson. The Cardinals’ pass defense held opponents to a 61.0 completion percentage, the ninth lowest in the league, and an 83.2 percent passer rating, the sixth lowest in the league. Of particular interest to Bucs’ fans will be the Cardinals interceptions during that time: 86 total interceptions (ranking third in the league during that five year span) and 14 interceptions returned for touchdowns (tied for first in the league). Prior to his time in Arizona, Ross coached safeties at Oakland, San Diego and Minnesota. Ross entered into the league as a player in Kansas City in 1984 and ultimately had a career that secured him a spot in the Kansas City Chiefs Hall of Fame. During his career with the team, which lasted from 1984-1993, Ross had 30 interceptions and scored 5 touchdowns. He is one of only three players in franchise history to score at least four different ways (two interceptions, two blocked field goal returns, one fumble recovery and one blocked punt). Nick Rapone has known Bruce Arians since they were both wee lads–they played together in college at Virginia Tech. Arians was a senior when Rapone was a freshman. After Arians graduated, he was a graduate assistant and running back coach when Rapone played. Arians brought Rapone onto his staff at Temple, where Rapone remained to coach the secondary for Bruce’s entire tenure as head coach. Rapone stayed at the college level for over 30 years until Arians took the head coaching job at Arizona. Rapone rejoined him to coach the defensive backs (including Tyrann Mathieu). Another Bowles’ guy, Tim Atkins served as the Jets’ defensive quality control coach during Todd Bowles regime. Before that, he worked for the Browns for two seasons, and the Bills prior to that. Cody Grimm is probably one of my favorite hires this season. Grimm was drafted by the Buccaneers in 2010 when I first became a fan and played for three seasons. He showed flashes during his playing time as a safety, but his career was littered with injuries. After he retired from the NFL, he returned to his alma mater Virginia Tech where he coached on defense. Even more interesting about this hire, Cody’s father, Russ Grimm is a Hall of Famer, having earned his spot as an offensive lineman with the Washington Redskins. He played on the Super Bowl-winning Redskins team with Todd Bowles. After retiring as a player, Russ was on the coaching staff at Pittsburgh at the same time as Arians. Keith Armstrong has spent the last ten years serving as the Atlanta Falcons Special Teams Coordinator (with our beloved Matt Bryant). The organization let him go this season in favor of some new blood. But he quickly landed a job with an old chum: He played under Arians at Temple, and after graduating joined Arians’ coaching staff. Armstrong’s NFL coaching career began in 1994, where he started as the Falcons’ safeties coach. He also coached at Chicago and Miami. Chris Boniol is a former NFL kicker, having been signed by the Dallas Cowboys in 1994. He helped the franchise win a Super Bowl during his time there, becoming the first Cowboy to have three consecutive 100-point seasons. He also held the team record for the longest streak of consecutive field goals with 26 in 1995. He retired a Chicago Bear in 1999. The Dallas Cowboys re-hired him as a coach in 2010, where he coached Mr. Reliable Dan Bailey. Bailey went on to break his coach’s streak of franchise most consecutive field goals. Boniol left the Cowboys to join the Raiders for one season in 2014 before joining the Louisiana College football program as the special teams coach. To say former University of Alabama Head Coach Bear Bryant is Bruce Arians’ idol is a yuge understatement. Arians has modeled his entire coaching philosophy after Bryant’s “coach ‘em hard, hug ‘em later” mentality. So it comes as no surprise that Arians would hire a coach that comes from the same background. Amos Jones played under Bear Bryant at Alabama, and then joined the coaching staff during the last year of Bryant’s regime. Jones has followed the Buccaneers’ head coach to each major stop along Arians’ journey. First to Temple, where he served as the defensive line coach. He stayed at the collegiate level until he was hired on at Pittsburgh in 2007 as an assistant, eventually moving up to special teams coordinator in 2012. When Arians landed the head coaching job at Arizona, Jones followed him to serve as special teams coordinator. 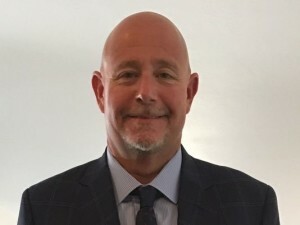 In 2018, Jones was the special teams coordinator at Cleveland. Mike Chiurco served in the same role at Arizona during Bruce’s tenure, but his career has mostly been spent coaching at the high school level, with one exception: he was a college scout at Indianapolis from 1999-2003. 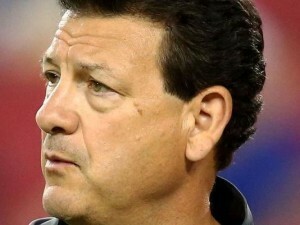 Bruce was the quarterbacks coach for the franchise 1998-2000. The hiring of Bruce Arians has given the franchise a new lease on life. Arians has stated we are in win-now mode. Hopefully this is the staff to do it. This entry was posted in Coach Analysis. Bookmark the permalink.